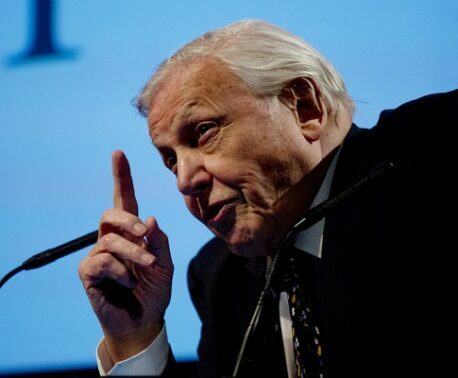 Sir David Attenborough is Britain’s best known and most loved Natural History Filmmaker. Over his fifty-year career David Attenborough has been a Broadcaster, Producer, Author and Conservationist. He is also a Patron of the charity World Land Trust. "The fate of the creatures which share our planet lies entirely at the hand of mankind." 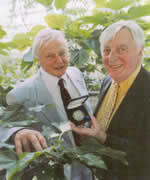 David Attenborough and Christopher Parsons. 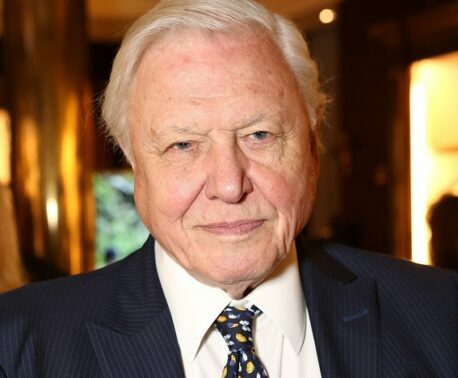 The origins of David Attenborough’s connection with the World Land Trust and his ongoing support for it's work highlights his dedication to the plight of endangered wildlife species. He has been a supporter of the charity since it was founded in 1989 and became and official patron in 2003. The same year David Attenborough launched Christopher Parsons Rainforest, a fundraising initiative to create a new reserve in Ecuador in memory of friend, fellow conservationist and former WLT trustee, Christopher Parsons. "Buying land is the most direct and certain road to conservation." "Please join with the World Land Trust to do what we can to save what is precious to us." Please join Sir David in supporting the World Land Trust: Make a donation today. About the WLT: What is the World Land Trust? How can I contact Sir David Attenborough?